1840 Liberty Head $10 gold coins represent the third year of the series designed by Christian Gobrecht, the third chief engraver of the United States Mint. The Liberty Head $10 gold coin was also the first eagle coin minted at the United States Mint since 1804. Besides the change in design, the most important differences between the earlier $10 gold eagle coins and the “newer” ones are the weight and size of the coins. The Liberty Cap $10 eagles, struck from 1795 through 1804, measure 33 millimeters wide and weigh 17.50 grams. On the other hand, the Liberty Head gold eagles are only 27 millimeters in diameter and weigh 16.72 grams. 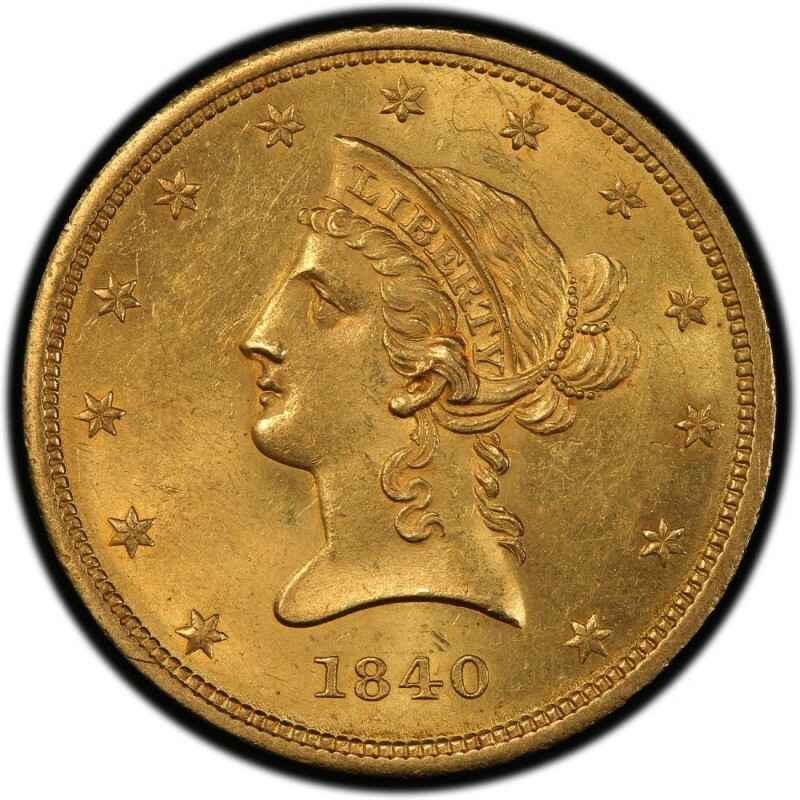 1840 Liberty Head $10 gold coins were made in relatively small numbers, with 47,338 being made. However, a substantial number of those coins have been melted over the years, lost or otherwise damaged beyond recognition, leaving behind but a fraction of the original output. 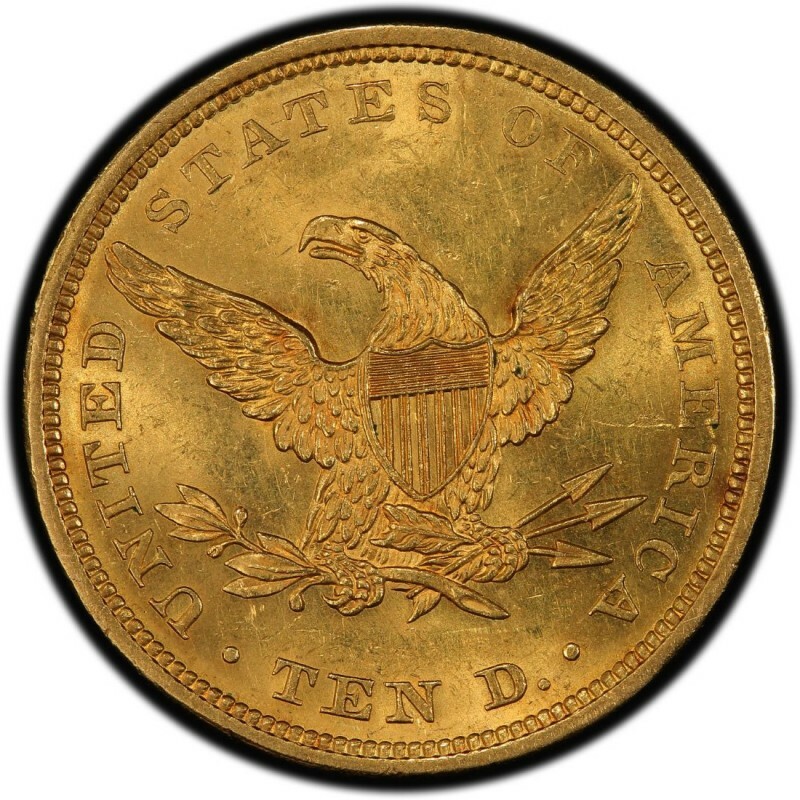 The 1840 $10 gold eagle coin is worth $1,000 in a grade of Very Fine 20. Bear in mind that values for older gold coins like early Liberty Head $10 eagles has largely to do with the fact that few collectors pursue these coins, meaning demand is light. Yet, these coins are indeed scarce, and finding 1840 Liberty Head $10 gold eagle coins can prove to be an extraordinary challenge.